Launched in 1985 by fine watch collector H.R.H Prince Ernst of Hanover, ‘The Watch Gallery’ was known amongst collectors as a world leading destination watch boutique, due to the personality and expertise of its exuberant founder. 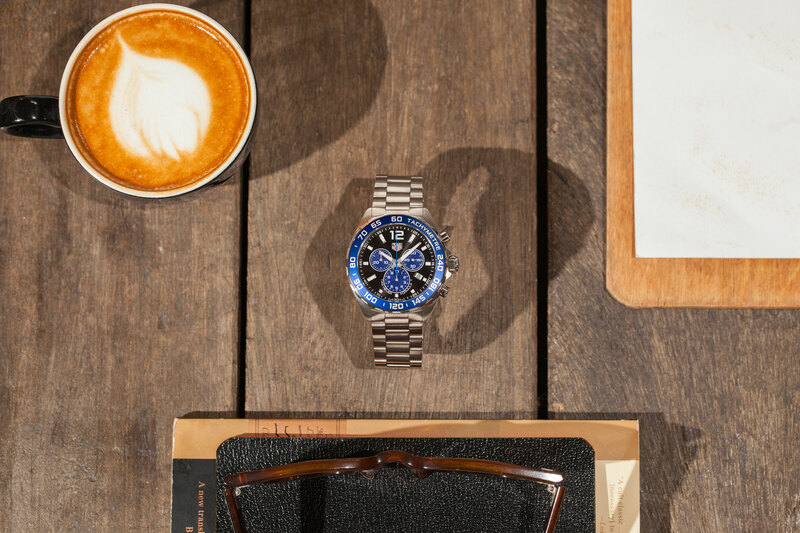 Quality, luxury and accuracy are words that spring to mind when describing Swiss watches. It therefore is of no surprise that leading luxury timepiece specialist The Watch Gallery has partnered with renowned watchmaker TAG Heuer to exclusively develop the Formula 1 TWG special edition. Limited to 200 models and in true sporting style, this 43MM quartz chronograph features the Watch Gallery signature sapphire blue aluminium bezel and colour corresponding chronograph with a lustrous black dial and steel bracelet. 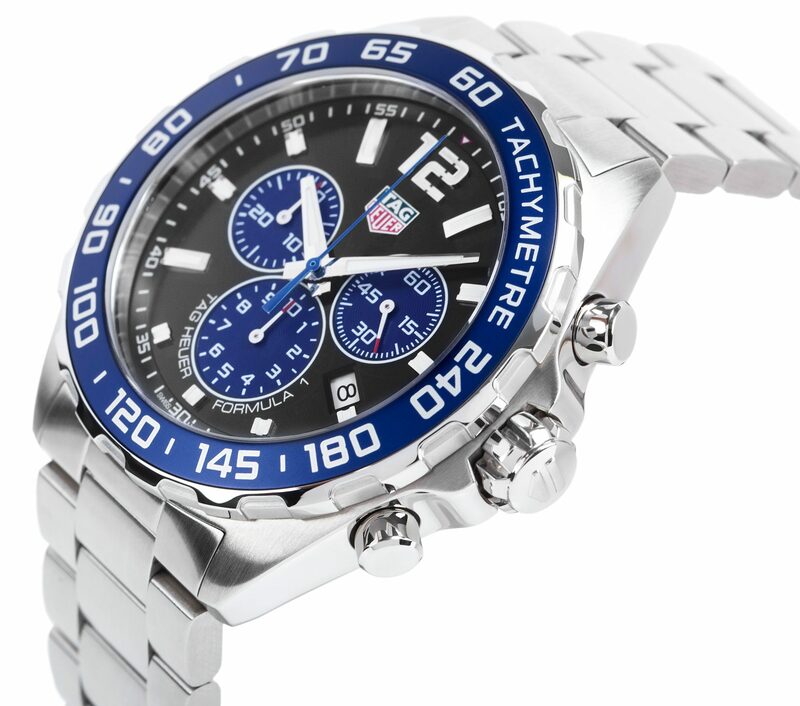 Priced at £1,250 and continuing the essence of TAG Heuer’s long standing association with motor racing and constant pursuit of the highest levels of precision and performance. The TAG Heuer Formula 1 TWG special edition features a 1/10th of a second of a second chronograph, the running second counter at 3 o’clock, the hour counter at 6 o’clock, the minute chronograph counter at 9 o’clock and a tachymeter scale to the bezel. You can see more of the Watch Gallery’s Tag Heuer collection on their website. I would like to purchase this watch Reeds Jewelry cannot find it ?